Free? Is it a gimmick? Wholesale Direct First Aid Offers you a FREE First Aid Kit with every order!!! 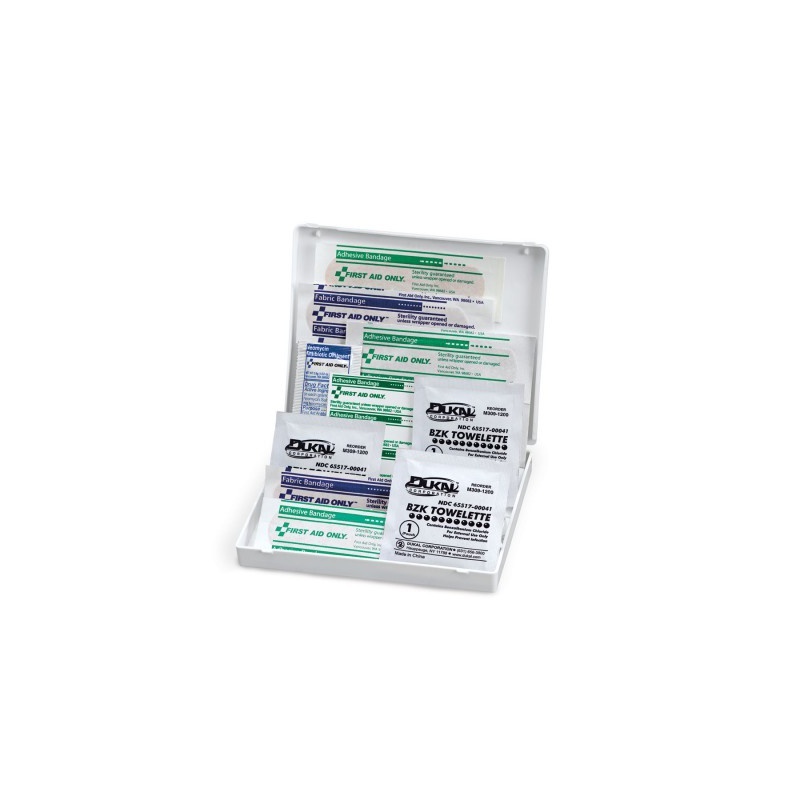 You can receive a free first aid kit every time you place an order at Wholesale Direct First Aid! Add the appropriate item below to your Shopping Cart (Click on the Image or the Title to get to the item page), and enter the discount code during checkout to credit back the total purchase price! (4) Alcohol cleansing pad, 1-1/4"x2-5/8"
(3) Antiseptic cleansing wipe, sting free, 4-3/4"x7-3/4"
(2) Single antibiotic ointment pack, 1/32 oz. Our Best Selling Promotional Kit!! We at WDFA will pick our favorite mini CPR, First Aid or Safety Item (always something currently sold at this site) to send it to you Free in appreciation of your business! Offer subject to change or substitution at the discretion of Wholesale-Direct-First-Aid.com, limit one free First Aid Item per order, per customer, per week. Breaking your order up into multiple orders will not result in garnering extra free kits... we will combine the orders and send one free item. Free First Aid Items cannot be added after order is complete, and are only available for online orders. This is your incentive to purchase online and save us the labor costs of processing a phone, fax, or mail in order! (Therefore, free kits CANNOT be added after order complete, as this would require labor & handling costs). We love offering this great special to our online clients! To keep this offer available to our thousands of regular clients, we reserve the right to cancel, without notification, orders placed by individuals attempting to take advantage of the system with multiple orders from the same account or IP address, breaking up orders for multiple free items, etc. ~ If you have a question about acceptable use and/or exceptions to this offer, please feel free to call us toll free! Enjoy our FREE First Aid Item Offer! Offer valid while supplies last.This free first aid item offer cannot be combined with other discounts or offers. ... Shop, $ave, and Be Well!